ViewSonic hypes the ViewPad 10e as a high-performance entertainment tablet but this simply wasn't our experience. Plasticky build quality should be expected for a cheap device although the ViewPad 10e does have a good screen and some useful connectivity. Ultimately it falls down on performance. We’d suggest it's not worth spending £199 to be constantly frustrated by an unresponsive experience. Overall for the money the Viewpad is a great device. The screen alone puts the Viewpad ahead of its competitors. You just need to think what you will really do with a tablet like this. Watch videos, listen to music, read books, play games, browse the web and possibly video call people. All of that is achievable with the Viewpad. 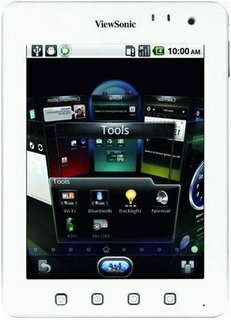 It would make an ideal cheap tablet to take on holiday, loaded up with films, books, music and games. Yes some people may get annoyed by the lack of Android Market but I think the for the money and the target market, the offered replacement is perfectly adequate. A Google contacts compatible app would be nice though. 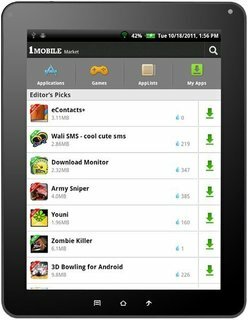 Yes some people will also complain about the Viewpad only running Gingerbread, yes Honeycomb and Ice Cream Sandwich certainly make the whole tablet experience better you can still have a lot of fun with the Viewpad. Resisting its $200 price point from getting the best of us, there’s no kidding that it’s undeniably affordable on any budget. However, even though it packs the usefulness of such things like a microHDMI port, microSD card slot, and cameras, it is not a polished product that prides quality above all things. Actually, it is way worse than the Amazon Kindle Fire which comes at the same price or the Nook Color, which is priced at $250. Yes, these may lack some features the ViewPad 7e has, but are way better when it comes to real life usage. We're not about to rate the ViewSonic ViewPad 7e as a must-purchase, especially because we think the similarly priced Amazon Kindle Fire will make its way to the UK eventually. But, for now, the ViewSonic ViewPad 7e is not a bad purchase compared to the much more expensive 7-inch Samsung Galaxy Tab. You get all the basics of Android without actually running the Android 3.2 operating system. 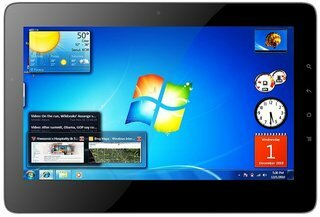 Even those few users who might benefit from having Windows 7 and Android on the same device will find some serious problems with the ViewSonic ViewPad 10Pro. Android runs too slowly to be useful and apps didn't install. The screen is also too dark. Overall, this is a tablet we can't recommend. Aside from a lot of fun, testing the ViewPad 10s also bestowed us with a lot of frustration. Manual deleting of apps from the memory via task manager gets annoying after a while. However, this is not only a problem of the Viewsonic, but of many other Android pads as well. 512 MBs of RAM is quickly filled. It's comparable with, for example, the latest Windows PC that has to work with a 512 MB RAM in Windows. The "Home" key's positioning and the lateral ports' magnetic cover are also unfavorable. The capacitive touchscreen responds extremely fast to finger inputs – sometimes even too fast. The image reproduction as well as the viewing angles is acceptable. The display is reflective and occasionally shows more from the surroundings than the display's actual content. 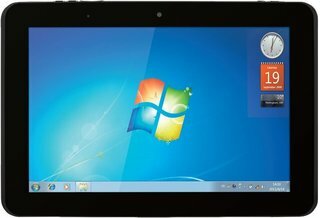 The ViewPad 10s from Viewsonic is an inexpensive entry model at a street price of 299 euros. The 10.1 inch display diagonal is an eye-catcher everywhere – in the train, in the beer garden and even among colleagues. It doesn't always have to be Apple. Although the dual-core Tegra 2 processor is capable of decoding HD video, you can't watch it in its full glory on the 1,024x600 screen. We did find the ViewPad extremely quick, with snappy transitions between screens. Aside from the larger amount of storage, the ViewPad 10s is essentially almost identical to the Advent Vega. We don't feel the larger memory card is worth the extra £26, when you can pick up a 16GB MicroSD card for £11, and installing the Market is trickier than on the Vega. Nowhere close to being in the forefront of the tablet space, the outdated and non-optimized Android experience with the ViewSonic ViewPad 10 is an appalling step backwards in the opposite direction that Google is taking their beloved platform. Though, it’s nice to see that you literally have the full advantage of a mobile laptop thanks to Windows 7 – even more when you’ve got various ports at your disposal to enhance the experience. However, the poor implementation of Android, plus the mediocre screen and insufficient battery life leave an overall bitter taste after using the tablet more extensively. It makes us think if the device wouldn't have been better off if designed solely as a Windows tablet, since we don't quite see the point in having such an inadequate Android experience. If you're intent on using the ViewSonic ViewPad 10 exclusively as a Windows device, then we presume it might fit the bill. But even then its other drawbacks prevent it from becoming a desirable product. The end result is a tablet that only really feels comfortable browsing the web and watching video, and then accepting that crashes are more frequent than they should be in these areas and the screen could be better. For some that might be acceptable, but despite being asked to pay a little more than you might elsewhere, there is seemingly little to get excited about. The ViewSonic ViewPad 10s, overall, isn’t particularly stable as a software build and the feel of the tablet in the hand isn’t that good either, making it difficult to recommend. The ViewSonic ViewPad 10s doesn't come across as a tablet catastrophe, but decent internal specs simply can't match up to an experience with cut corners and a lack of optimised software. Visit the Viewsonic Q&A Forum to get answers, ask a question or help others.